The election results are in! Congratulations and thank you to those elected to the AOCS Governing Board. Governing Board members volunteer their time, experience and knowledge to influence and improve the Society. At its last meeting, the members of ISO/ TC34/SC11 adopted Resolution 550/17 concerning the determination of phthalate residues in oils and fats. Members agreed that the French and Australian methods would be harmonized and that this method would be used for a collaborative trial. AOCS has been asked to coordinate the US participation in the trial. The project leader for this work is M Watiez (AFNOR). The samples for this trial have been carefully chosen and information concerning all precautions to prevent contamination will be given. - possibly a second olive oil field sample containing DEHP. There will be one training sample of refined rapeseed oil with a known amount of phthalates. 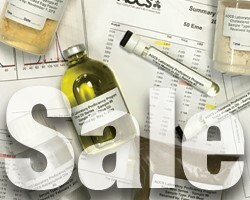 It is proposed to send out all the samples at the beginning of March 2018 with the results for 1 blank trial (DEHP method and/or 8 phthalate method) and for the training sample to be returned by mid-May 2018.The results for 1 blank trial and for the rest of the samples (6 samples) should be returned by mid-June 2018. Members are asked to provide the names and contact details of analytical chemists within their countries who wish to participate in this collaborative trial. The attached method together with the list of analytes is attached for potential participating labs. If your lab would like to participate and is within the USA, please send the complete contact information to myself at douglas.rennie@aocs.org, with the subject line "Determination of Phthalate Residues in Oils and Fats". Please submit your contact information ASAP for consideration.